Only in war is there happiness. An unhappy loner of few words and fewer opinions, Snarl only finds joy in the heat of battle. He hates his Dinobot form and longs to return to Cybertron. His tail can shatter 20 foot cubes of concrete and his armored hide resists most missiles, but he is vulnerable to nighttime attacks because he gets his strength from the sun. The large golden plates on his spinal assembly are solar collectors that he uses to collect the sun's rays in order to increase his power. He is generally considered slow and receives little help from others because of his own uncooperative nature. Robot Mode: One of the better-looking Dinobots in robot mode, Snarl looks massive and powerful because of his large upper body and the tail-structures emerging from his shoulders. The red colour instead of the G1 grey does suit him (unlike Slag's green). The only real drawback to this mode is its top-heaviness, which makes him a bit unstable, especially when the toy's waist is a bit loose as mine is. Alternate Mode: Really nothing to complain about here. Snarl looks exactly like what he is supposed to. The only thing I would have liked to see here was a movable tail in order for Snarl to swat Decepticons with it as he did in the cartoon. Mising Parts: Snarl is missing all his weapons (pistol, sword, and rocket launcher). 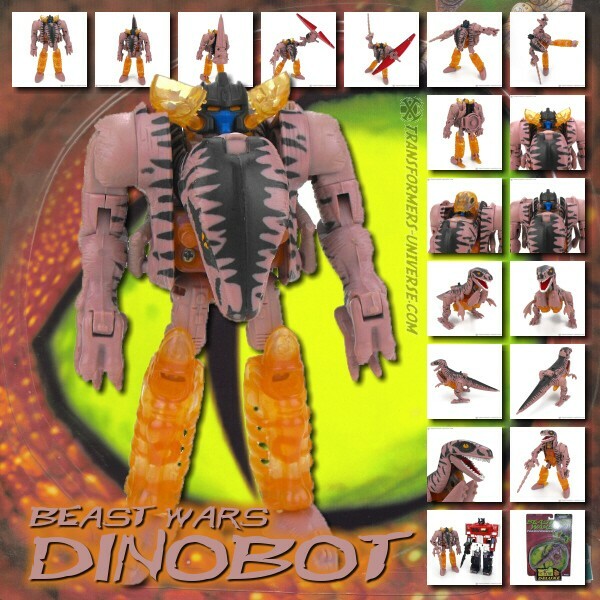 Remarks: Snarl is probably the one Dinobot who received the least characterization in the entire Transformer canon, both cartoon and comic series. This is especially evident in the fact that he is best known for being the only Dinobot who did NOT appear in Transformers the Movie. Still, I wanted the Dinobots for my collection and Snarl in his G2 colours looks as good or maybe even better than the grey original, so I bought him (and cheaply at that).